For over a decade I have been regularly travelling between the UK and France, mostly by ferry but also by rail and air. 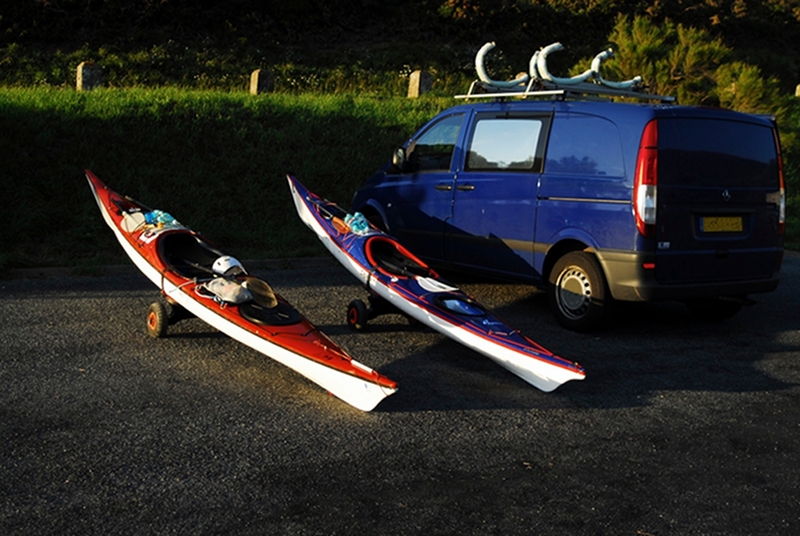 As a paddler I invariably have at least one kayak, often several on the roof, and this can really push the cost up of your cross channel travel. To put this into context against other operators, to take my van and kayaks across to the Isle of wight would cost £36 each way traveling mid week in January. For a trip across the Channel using Brittany Ferries from Portsmouth to Caen for the same dates, you will have to part with £278. Of course, as with everything there are disadvantages, Dunkerque is a long way from Brittany you should allow around 8 hours for the trip but with a couple of drivers the driving will not ‘wipe you out’ Outside of the major bank holiday times, driving on french roads is generally stress free and considerably cheaper than driving in the UK. For those in the South East, Dover Dunkerque will always be the best route, while those in Plymouth are more likely to opt for the Plymouth Roscoff / St Malo route, whilst being more expensive, it cuts out 14hrs of driving and all the fuel costs. Surprisingly, the ferry cost from the Channel Isles to France is expensive, however it is always possible to paddle across via Les Minquiers and Îles Chausey, or the Ecréhou. The more adventurous may want to try via Alderney.